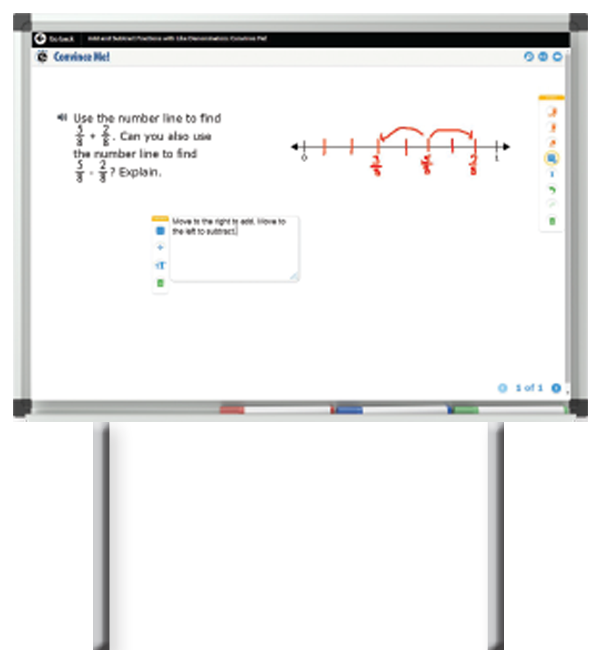 enVisionmath2.0 features a proven and unique instructional design pairing independent problem solving and explicit instruction, resulting in deeper conceptual understanding. Problem-based tasks at the beginning of every lesson challenge students to connect prior learning, followed by explicit instruction that presents key math ideas visually. Introduce concepts and procedures with a rigorous problem-solving experience that facilitates rich classroom conversation and encourages productive struggle. The “Solve & Share” problem at the beginning of every lesson challenges students to make connections to their prior learning. 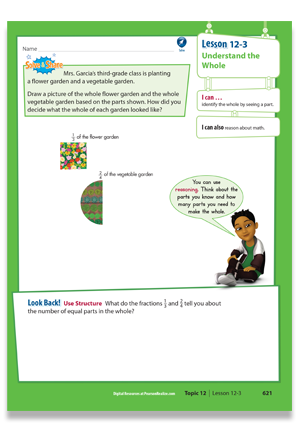 Download a Sample Solve & Share from the student and teacher texts. enVisionmath2.0 brings key math ideas to life. After every problem-based learning activity, the Visual Learning Bridge makes concepts explicit with visual instruction. 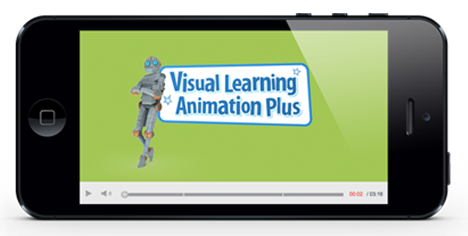 And we’ve developed an even more interactive way to promote conceptual understanding—the Visual Learning Animation Plus, an exclusive digital experience for every lesson. from the student and teacher texts. Try It in Your Classroom Today! Ready to try the enVisionmath2.0 instructional design for yourself? We’ve created a sample lesson for every grade. Use it in your classroom and you’ll see why teachers and students alike love using enVisionmath2.0. Instructional Design Take & Teach!